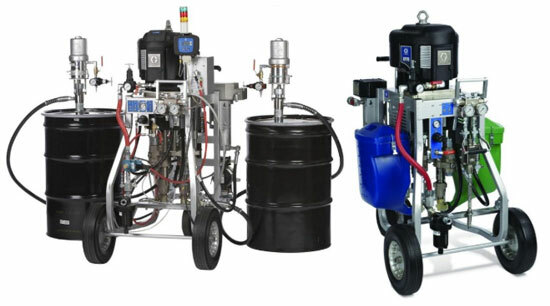 Engineered for projects that require faster-setting two-part coatings, Graco XP Sprayers are easy to use and provide on-ratio, excellent spray quality for fast-curing materials. 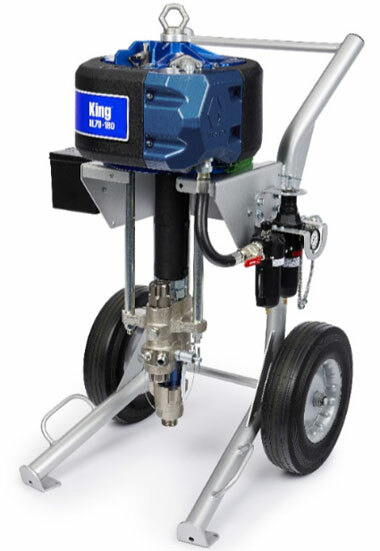 The Graco e-Xtreme Electric Airless Sprayer is the world's first electric sprayer for protective coatings approved for hazardous locations. 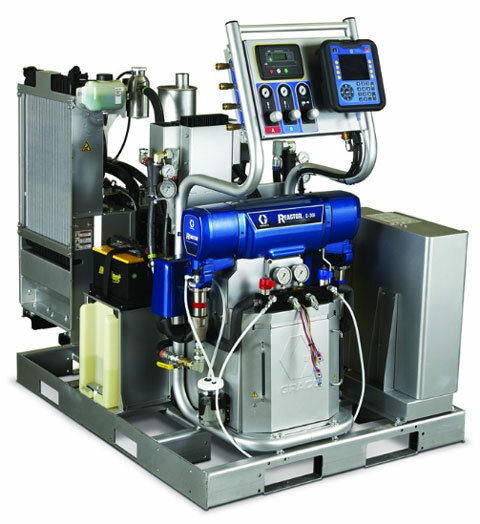 The e-Xtreme operates on a more reliable, convenient and available electric power source, which improves jobsite inefficiencies associated with compressors. If your air compressor goes down, you no longer have to stop production. 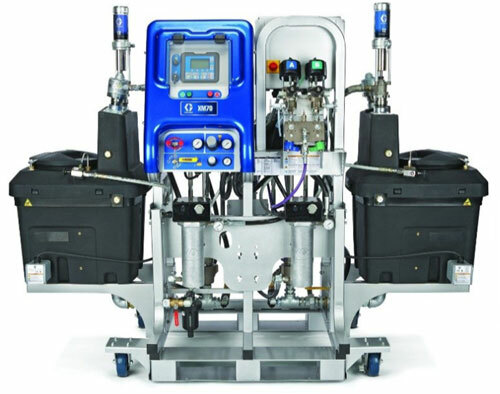 More so, electric technology eliminates pulsation and motor icing, making your jobs run smoothly - every time. 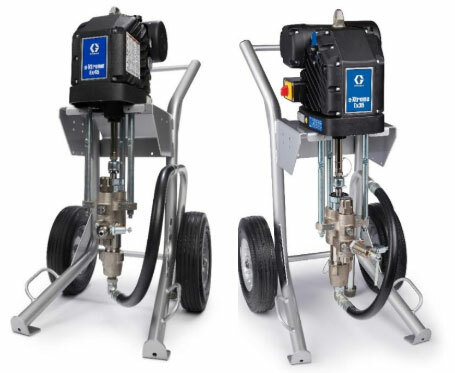 Graco Reactor proportioner is engineered to process and spray fast-curing polyurea and other coatings that require high pressures. Hybrid heaters heat material quickly and maintain temperature set points.